Late last year, a friend from church asked if I might consider finishing a quilt that her grandmother had started. Her grandmother was making this quilt for my friend's Mom, when she suddenly passed away. I told her I would take a look. The quilt is all hand pieced and hand quilted. Well I knew that I would not be able to finish this quilt for her, because I mostly do machine piecing and quilting. However, I asked one of my quilting buddies if she would be interested. She is already a fabulous hand quilter, and would do an excellent job. Diane took the quilt to finish, under the stipulation that she would not be able to work on it until after the first of the year. Well my fellow quilters, Diane did an outstanding job on this beautiful quilt. She took the remaining fabric and finished the edges, and also finished hand quilting the whole quilt. The quilt was presented to my friend's Mom and she cried and cried. I happened to see her at church one day, and she told me that her Mom (the grandmother) knew that she loved blue and white. Thanks Diane, for taking the time to finish this quilt and bringing a little happiness to a very sweet lady. May the light of the Savior's love shine on you today. Late last summer I received a lovely package from Carrie P. If you don't know her, you must visit her blog A Passion for Applique. Carrie creates some very beautiful applique quilts. Carrie sent this cheerful little pouch. Don't you just love the pretty red and white fabrics?? I thought about how to use this cute pouch. With my upcoming trip to Quilt City USA, I thought it would make a great portable case for the essentials. I decided to add a little sleeve inside the case for a small pair of scissors. I was able to sew the seam lines in the ditch so it does not even show from the top side. There is plenty of room inside the case for a small cutting board and two acrylic rulers. A small skein of thread fits right inside the smallest rotary cutter. Needles, pins and a wooden presser complete the emergency kit. Thanks Carrie! My charming little case will be very useful for many other occasions too. Yes my peeps, Spring has arrived in our neck of the woods! This Gardenia bush is ready to explode! I don't know if you can see from this picture, but there are hundreds of buds just waiting their turn. It really smells divine. One More Quilt is hosting her One year anniversary with a giveaway! Jonquils & Ladybugs is giving away a darling quilt! 1 Choice 4 Quilting is starting a book club, and is offering Amy Ellis' new book and kit to get things started. The Confused Quilter is celebrating her one year blogiversary, and you have to take a look at the cute patterns being offered. Glenna from Hollyhock Quilts has the cutest little house to giveaway. And last but not least, I read on Carrie's blog (you know, Miss Rosie's Mom) about a Blog Hop Alert!! Pat Sloan has a brand new book coming out, and the hopping gang will start blogging about it tomorrow. Check out LaVieEnRosie to get the details. Keep that needle going up and down. Happy Quilting! What have I been doing these last few days?? hummmm..... doing a little machine quilting. 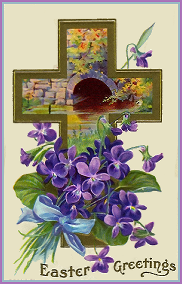 I'm working on duplicating the little flower (click to enlarge). I love it when the long arm quilters show the backs of their quilts. This one was fun, and looks so geometric. It all happened so innocently. That really does happen you know. You see, I saw these beautiful fat quarters at my Local Quilt Shop. There were three sitting together. As a matter of fact, if you want to see them together, I posted about them on Saturday. I thought the fabrics were so beautiful and the ONE bolt that I did look at said "Sunkissed". So I just ASSUMED they ALL were Sunkissed, as all the bolts were displayed together. So Saturday I write up my post, and send it out into blog land, only to have a very kind soul send me an email stating that the first fabric was NOT Sunkissed. WHAT!!! Oh no!!! What is it! This GORGEOUS piece of fabric has to have a name! And I MUST find out what it is. So yesterday, I went back to my Local Quilt Shop, because you see, I wanted MORE of this delicious fabric. And then I saw it. It was YOU, Miss Rosie. How could I have made such an error. I feel so badly that I did not give YOU (and carrie) the well deserved credit for this GORGEOUS FABRIC. And it does have a name. It's FRESH PALETTE. Oh how appropriate. So fresh, so lovely, so... so.... GORGEOUS! I am groveling now Miss Rosie. Can you (and carrie) ever forgive me for such a dastardly mistake? Carrie is such a giving, generous Quilt designer and I feel like such a heel not giving her (and you) the proper credit for this amazing fabric. And one other question. Is it all right with you if I integrate your GORGEOUS fabric with a few of your friends?? One more little note. I went online to see if I could pull up a website, and it looks like this fabric is not readily available. I found it on lilybellsquilts esty and at my local Quilt Shop's online store. Have a perfectly wonderful Quilting Day! Where is the quilting mecca? 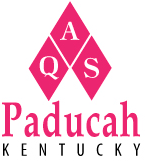 Why Paducah, of course. 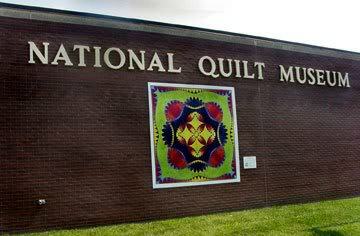 There are many quilting shows nowadays, but going to Paducah is an adventure in itself. Three years ago I went to Paducah with my BFF. We said we would be back. But things happen, life throws curve balls, and we did not make it there. BUT we have been blessed to be able to return to the Quilting City this year! We've talked about it, and tried to make plans, but this time it is happening. We even found a hotel room IN Paducah! Woo-hoo! One thing I found was some delightful Sunkissed fat quarters. Isn't it beeutimous?? It was the first time I've seen it in person! The new winner of the Ole Frog Eyes giveaway is Jodi. It's supposed to be Spring!! This morning it was 46 degrees here in the middle of Florida!! I thought it was supposed to be Spring! Whoever left the back door open, please be kind enough to close it. My impatients, bougainvilleas, tomatoes, cucumbers and gardenias would greatly appreciate it. And if you have not taken a look at the Virtual Design Wall, please take a moment to check it out. If you would like to be entered for a free one year subscription, please leave a comment on Monday's post. If you have any suggestions or comments about this concept, I would love to hear what you think. Enjoy your day! Happy Quilting! I have to say I am so glad that I did not read the post that started the uprising. But all of the responses I have read are beautiful. You can read some of them here and here. I am not an award winning quilter, not even close. Some things are harder for me to do then others. My desire is to make quilts that offer comfort. These three quilts are winging their way to Japan. It is my hope they will find their way to someone and offer comfort through their devastating situation. You still have time to send a little bit of hope and encouragement. You can read about it on the Call for Quilts for Japan. Have you ever wished you had room in your house for a nice big design wall? I don't suspect that many of us have a quilting or sewing studio. Most of us just have a little spot, etched out to set up your sewing machine and maybe a cutting table. Well I'd like to introduce you to "Ole Frog Eyes". A virtual Design Wall for Quilters. They are offering a giveaway for a free year of "Ole Frog Eyes" if any of my readers are interested. Now here is what you need to do to be entered in this giveaway. Go to their website, take a look around and come back and leave a comment on this post telling me what you think about a virtual Design Wall. I will leave the comments open until Friday April 8. And don't forget about the giveaway for Lapel Stick. You can find the post here. Have a wonderful Quilting week! The envelopes are opened and I'm happy to announce the official winners of the 2011 Golden Quilter Awards. Most Innovative product (physical item) AccuQuilt Go! Please hop over to Insight from SewCalGal and follow the links to wish the winners a well deserved congratulations! Several weeks ago, I was contacted by the makers of Lapel Stick to give their product a try. And what a fun product it is too. Lapel Stick is a temporary non staining fabric adhesive. Here is how I used it. The stem gets all wavy and does not like to lay flat for positioning. I dabbed a little bit of Lapel Stick and tried the stems in several different positions. It was great that I can easily reposition the stem. When I got it in place to my liking, I just finger pressed to the fabric before ironing. On this block I wanted to use a non fabric flower, and then stitch it down. There was no way to pin it, so I used the Lapel Stick to hold it in place. Sew the next flower down. Another thing I thought I would try is fold over binding. When I make charity quilts or quilts for children, I always bring the backing fabric over and use it for the binding. This may not work as well on large quilts, but for a small project, it beats all the pinning. Before anyone asks me about using glue for binding, let me share that Sharon Schamber uses Elmer's glue on her binding! If you would like to see how she does it, click on here. Sharon is an Award winning quilter. And one last thought. As I was using this product, I could not help but think how great this glue stick would work on attaching trim, ribbon or ric rack to your project. I've tried to sew down ribbon before and it can be a slippery adventure. The very nice people at Lapel Stick have sent me two additional Sticks to giveaway to my readers. If you would like to try this new and exciting product, just leave a comment on this post, and I will draw two winners. Comments will be open until Tuesday April 5th. Lapel Stick donates to Juvenile Diabetes Research Foundation with every sale of Lapel Stick. You can find out more at their website www.lapelstick.com. Thanks for sticking with me. Happy Quilting!